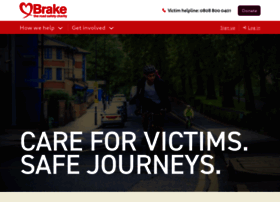 Brake the road safety charity. Stopping the carnage. Caring for the victims.